24 months warranty on waterproofing membrane. Supply labour & equipment to hack existing kitchen sink and stove support. Supply labour & equipment to dismantle existing kitchen cabinet. Supply labour & equipment to hack existing wall tiles. Supply labour & equipment to hack existing floor tiles. Supply labour & equipment to dismantle existing sanitary ware at 2 bath rms. Supply labour & equipment to dismantle existing door & door frame at 2 bath rms. Supply labour & equipment to hack existing wall tiles at 2 bath rms. Supply labour & equipment to hack existing floor tiles at 2 bath rms. Supply labour & equipment to hack existing skirting at whole unit. Supply labour & equipment to hack existing floor tiles at living/dining & store. Supply labour & material to lay skirting with homogeneous floor tiles. Supply labour & material to cement plaster smooth skirting area. Supply labour & material to overlay flooring using waterproof vinyl flooring for all bed rms. Supply labour & material to apply waterproofing membrane at flooring. Supply labour & material to lay (30×60)cm ceramic wall tiles. Supply labour & material to lay (30×60)cm porcelain / homogeneous floor tiles. Supply labour & material to construct cement plinth with tiles skirting for kitchen cabinet. Supply labour & material to construct cement plinth with tiles finishes for fridge. Supply labour & material to construct cement plinth with tiles finishes for washing machine. Supply labour & material to apply waterproofing membrane at 2 bath rms flooring. Supply labour & material to lay (30×60)cm ceramic wall tiles at 2 bath rms. Supply labour & material to lay (30×60)cm porcelain / homogeneous floor tiles at 2 bath rms. 3nos of lighting pt include fitting of light, 2nos of 13A socket, 2nos of 2x13A socket, cooker hood pt, 2nos of water heater pt. Provide labour to install kitchen sink & tap. Supply labour & material to install PVC outlet piping for wash basin. Provide labour to install 2nos of instant water heater. Provide labour to install 2nos of sitting WC. Provide labour to install 2nos of wash basin & tap. Fabricate & install L20ft kitchen cabinet using solid plywood in selected laminate finishes with ABS trimming doors. Supply & install soft closing door hinges. 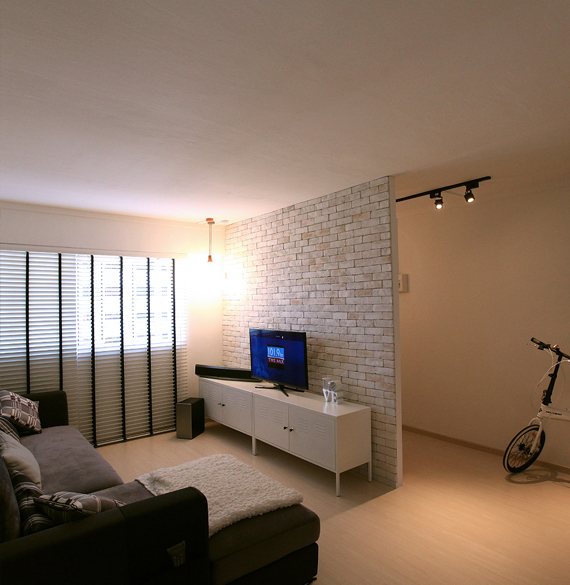 Apply for HDB renovation permit. Haulage & debris removal services.